Fine white sand that squeaks when you walk on it, glistening crystal waters that invite you to take a splash, palm trees swaying in the balmy Andaman Sea breezes… There’s a lot to love about Phuket’s world-famous beaches. 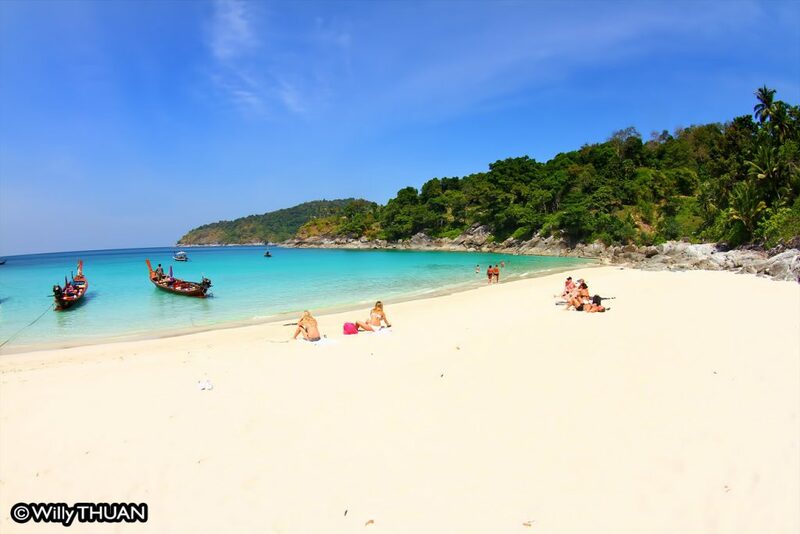 The Hotels.com-operated site Phuket.com has compiled its own list of fabulous sandy stretches to tick off your “to do” list while visiting the island. 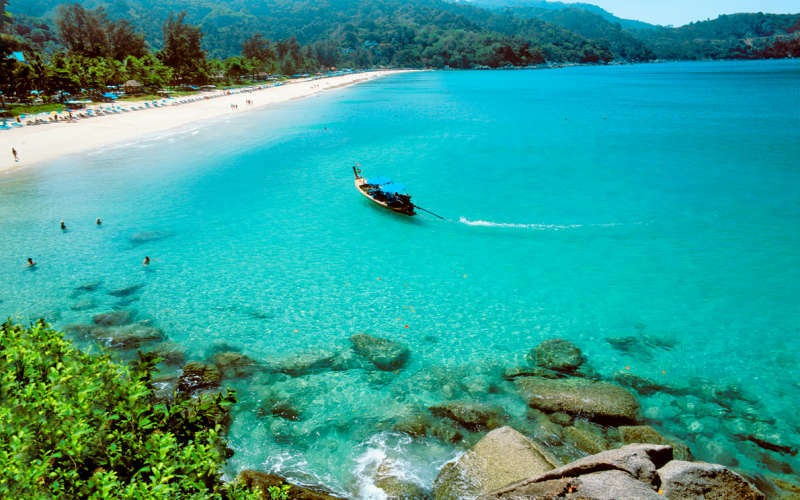 With more than 30 beaches stretching around the 48km-long and 21km-wide island, you’ll find Phuket’s western coastline offers a first class pick of pristine beaches. A jewel in the crown of Thailand’s travel catalogue, Phuket Province is a drawcard for so many reasons. Along with its year-round beach weather, relaxed and friendly atmosphere and glorious beaches, Phuket offers Thailand’s unique culture mixed with an enticing melting pot of attractions. Sun seekers can spend all day relaxing on the sand then sample the exciting nightlife, often within walking distance of the beachfront. The colourful nightclubs, restaurants filled with mouth-watering menus of authentic local and international cuisine and a lively party atmosphere welcome tourists, year after year. The beaches of Phuket, along with some well-placed beach clubs and beachfront restaurants, make it the ideal holiday destination for many Australians along with a hoard of international holidaymakers. Villa Getaways, with the help of Phuket.com, has compiled a list of the best beaches to visit when you’re next in Thailand. Talk to the friendly team at Villa Getaways to discuss private luxury lodgings on your next tropical island holiday to Phuket. This 300m treasure is just a 10-minute long-tail boat ride from Phuket’s central beach, Patong Beach, and affords its secluded reputation from the difficulty of access from the steep descent via the winding road above. Shaded dining is available from the onsite restaurant, along with great for snorkelling and beach soccer. A picturesque location, Freedom Beach is bookended by granite rock formations that only add to its isolated feel. Get away from the crowds with a lazy day relaxing at Kamala Beach, slightly north of Freedom Beach along the windy western coast road in Phuket. The enclosed bay offers a stunning stretch of sand that is accessed through lush rainforest. Villa Getaways boasts several luxury accommodations on the southern headland overlooking this glorious coastline. Enjoy a refreshing swim in the enclosed bay of this sleepy fishing village. A hidden treasure nestled between Bang Tao and Nai Thon beaches in Laguna, this isolated 180m-long stretch of sand is easily missed from the road above. Peaking keenly through the trees, you’ll spy a cosy shaded cove that boasts a fresh seafood restaurant (fish brought by fishermen straight to the shore) and beautifully clear water for swimming and snorkelling. Looking for some glamour with your sun lounger? Surin Beach’s beachfront promenade offers fine dining, food, shopping and a few beach clubs that keep the fun going long after dark. Think well-dressed tourists meet the latest in bikinis at this premier beachside location. Great dining, abundant cocktail lists and friendly staff all within a step or two from the turquoise water give Surin Beach its heady high-end holiday appeal. 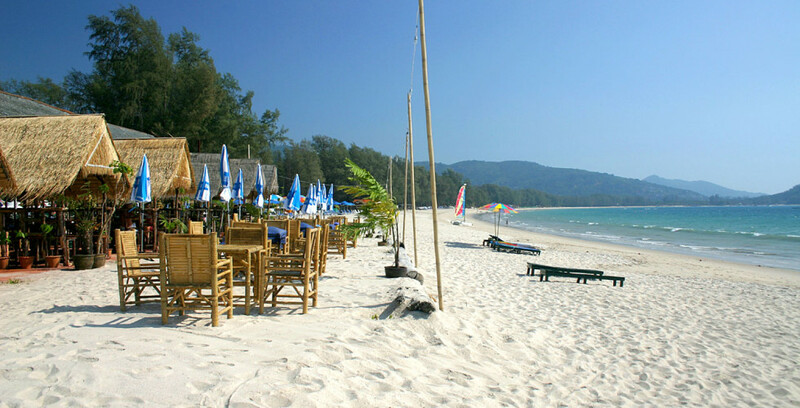 Just north of Surin, Bang Tao Beach in Laguna is a charming location to relax and soak up the sunshine. Mostly a resort beach, Bang Tao is so long (6km) that its northern end remains untouched by hotel developments – offering a chance to snag a secluded spot all to yourself. Luxury is blended with local fishing customs as many traditional villagers still follow the paths of their ancestors and trade in farming and rubber tapping. This 150m beach resting underneath a steep promontory is simply beautiful. 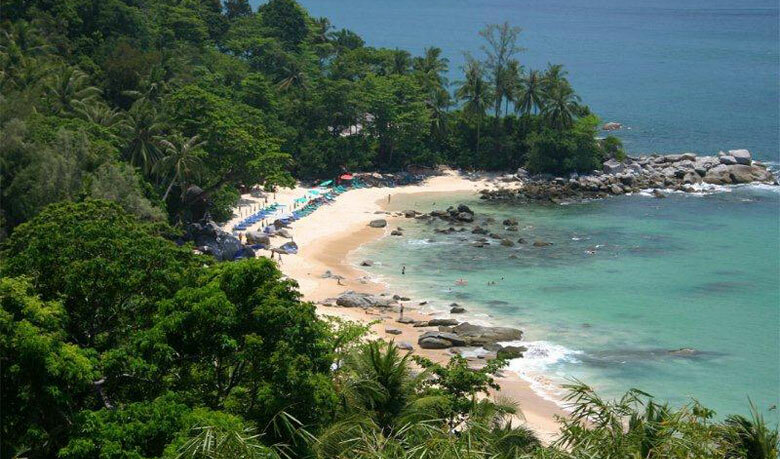 Nestled between Surin and Kamala beaches, Laem Singh is a precious jewel surrounded by tropical rainforest and high boulders, creating difficult-to-navigate access. You can enjoy water sports, jet skis and swimming then sample the Thai-infused Italian cuisine at one of the few shaded restaurants. Approaching this strip on the western coast takes you through some of the last remaining virgin jungle in Phuket. Entrance to this relatively deserted beach is a pleasure and the lack of luxury resort developments means it offers a tranquil respite from the more crowded beaches in Phuket. Enjoy a peaceful swim or explore rocky coves by long-tail boat. Scuba diving is also available via the nearby dive shop. Heading south towards Phromthep Cape at Phuket’s southernmost tip, you’ll find an exclusive cluster of beaches that includes Nai Harn. 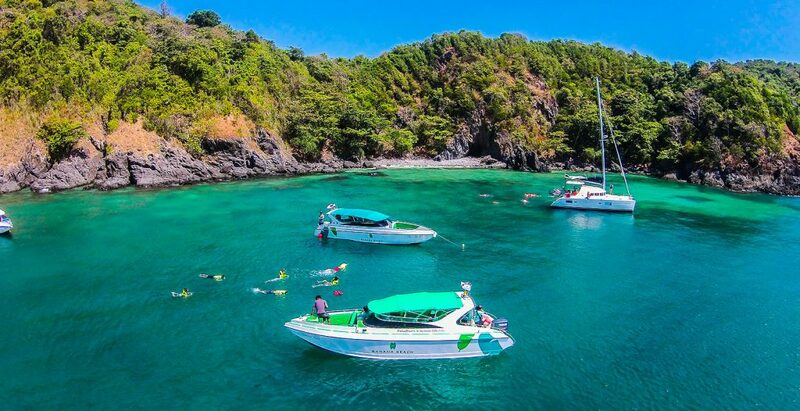 The nearby Royal Phuket Yacht Club draws a smattering of anchorages during high season, while this often insiders-only location offers just a few luxury resorts, keeping crowds at a minimum. Local restaurants perched over the sandy shoreline offer ideal destinations for sunset cocktails. Hugely popular with Australian visitors, Kata Beach is a delightful mix of charming village appeal, fabulous shopping, sensational dining, vibrant nightlife and its beautiful palm-fringed shoreline. The long sandy stretch of fine white sand and turquoise waters is home to many beachfront attractions, water sports and an abundance of luxury accommodation. 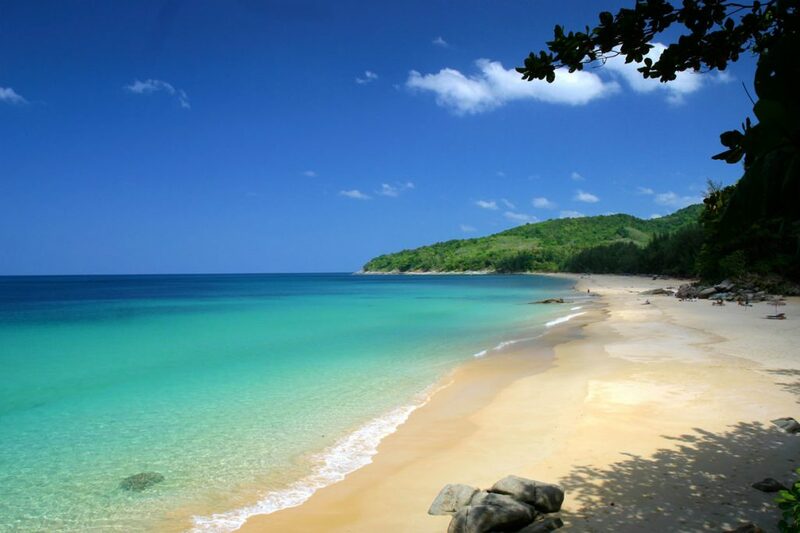 Centrally located, Karon Beach is to the north and offers a great shopping, hotels and food, also. This enchanting bay found at a cul-de-sac over the southern headland from Kata Beach is home to an expansive five-star resort, offering exquisite seaside dining, along with a few other local fine dining restaurants. Quiet and peaceful, Villa Getaways manages several exclusive luxury villas in the area that overlook the spectacular Andaman Sea. Contact our team to discuss your own private beautiful beachside accommodation. Please let us know your favourite Phuket or Koh Samui beach and why in the comments below for a chance to have your words featured on our Instagram and Facebook pages!